This brand new in-stock size medium ASHTON dress is from our budget line. 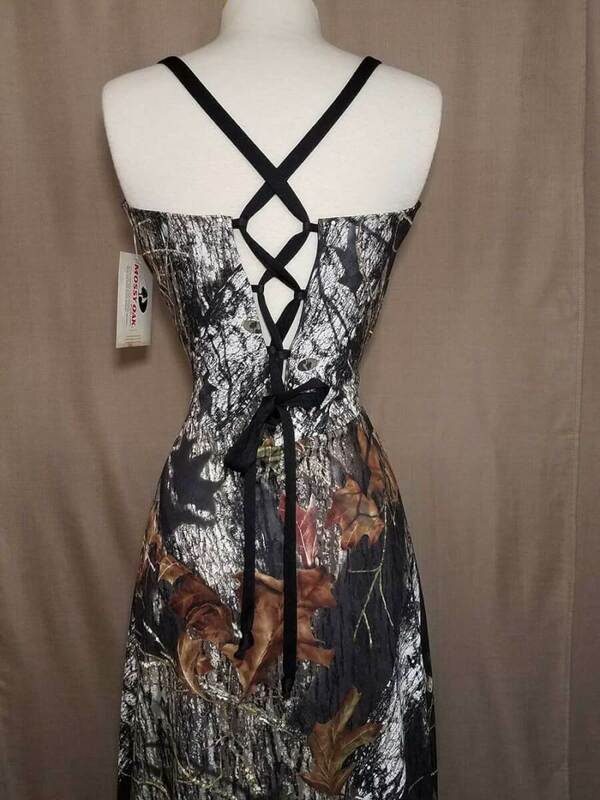 The dress is in Mossy Oak with black halter straps that turn into a corset with lace-up ties in the back. 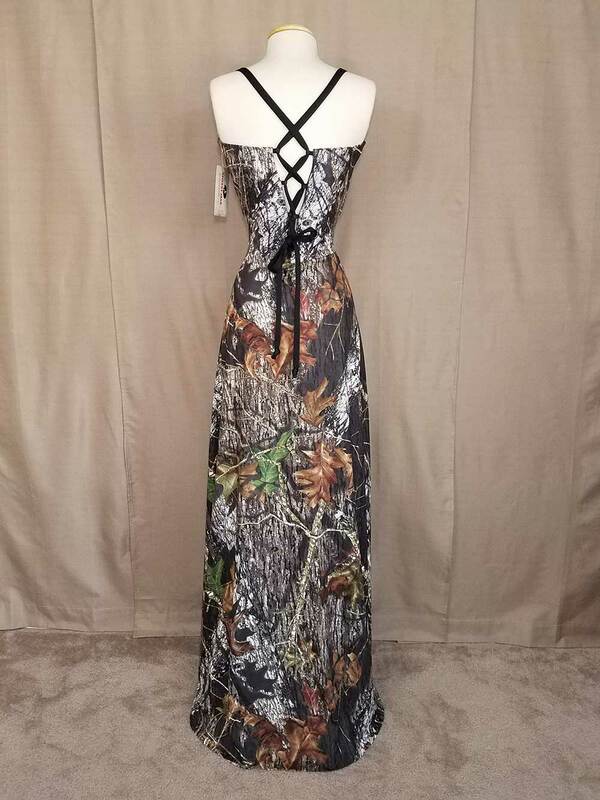 The skirt is a full length A-line style. 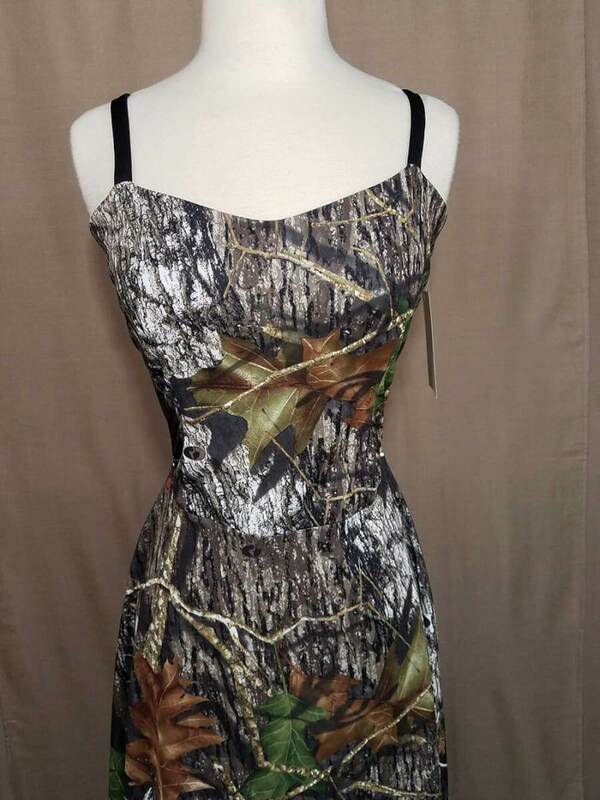 The budget line features dresses made from a lighter weight poly spandex material, without any boning or lining. 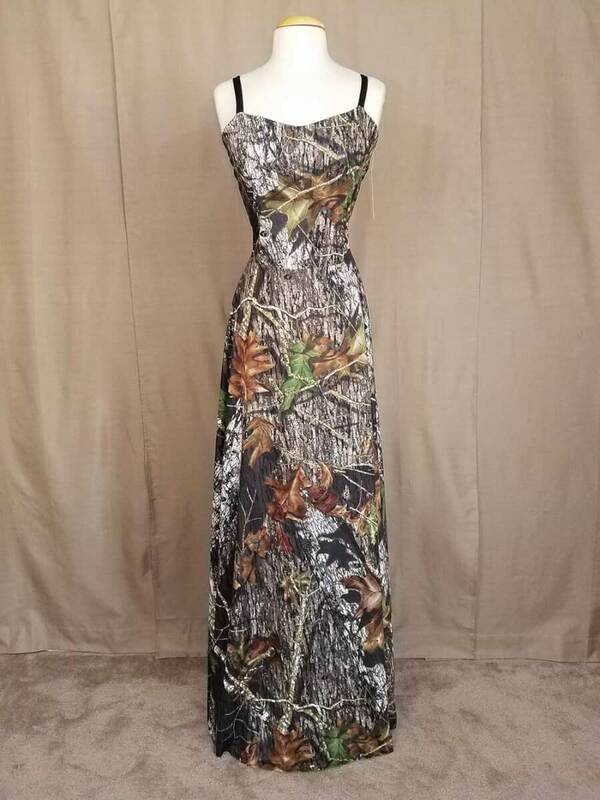 These dresses can be machine washed and dried.